Children's Day is celebrated on 14th November birthday of India's first prime Minister Pandit Jawahar Lal Nehru. It's a day to celebrate childhood. 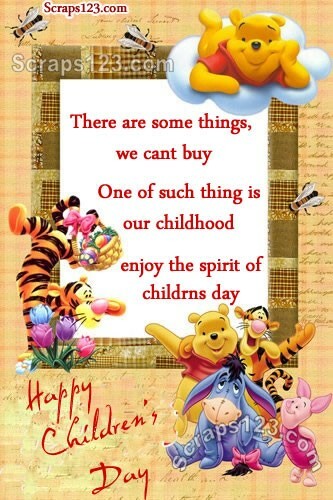 So don't miss the opportunity and celebrate Children's Day with your friends and family and share this beautiful pics.